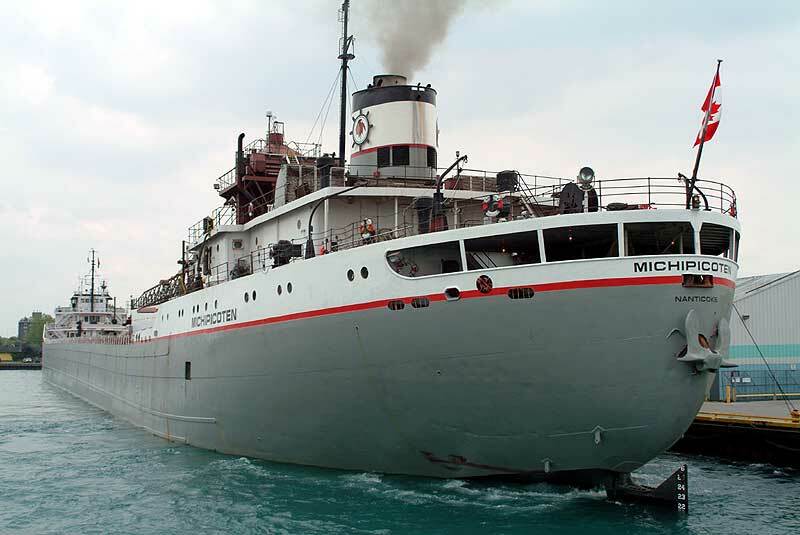 The Michipicoten was one of a trio of vessels built on saltwater in 1952 due to a back-up of orders at Great Lakes shipyards. 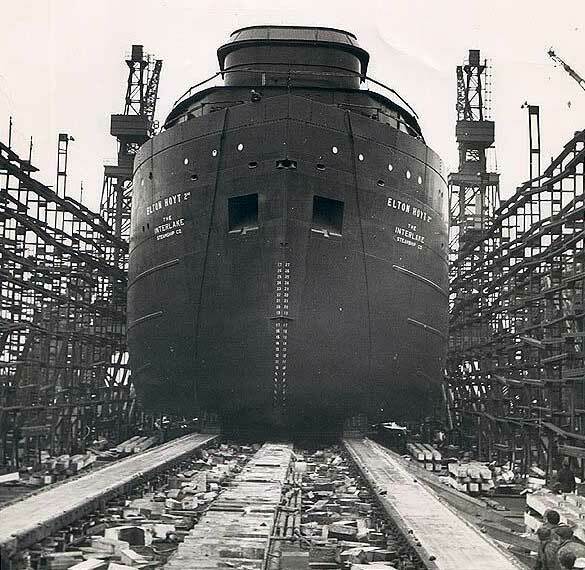 She was launched as the Elton Hoyt 2nd for the Interlake Steamship Company, and the Bethlehem Steel Corporation vessels Johnstown and Sparrows Point were all built to similar plans. Since the vessels were to be brought to the Lakes via the Mississippi and Illinois Rivers, their size was limited. The Hoyt measured 626 feet 6 inches long, 70 feet wide, and 37 feet deep, which gave her a capacity of approximately 20,000 tons. The Hoyt is powered by a 7,700 shp Bethlehem Steel Co. cross compound steam turbine and two oil fired Foster-Wheeler water tube boilers. 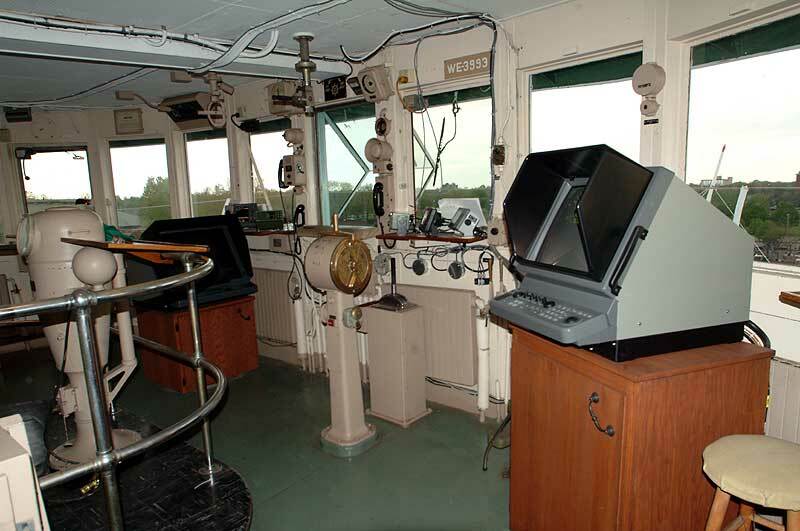 To clear lower bridges, the Hoyt's cabins and pilothouse were cut apart and carried on deck for the tow through the rivers, and the vessel was finally assembled in Chicago. 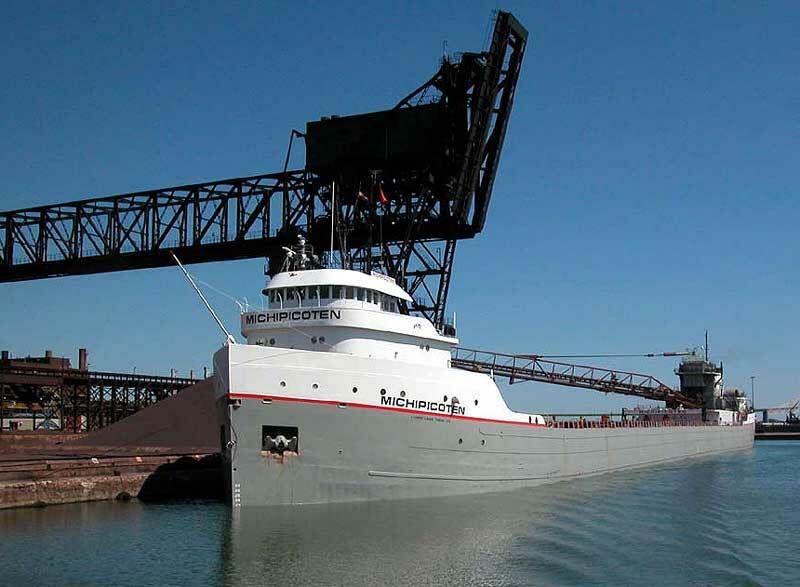 The Hoyt entered service on August 15, 1952, and fell into the trade pattern of other Interlake vessels--hauling iron ore mainly from the docks in Duluth or Superior to a variety of lower Lakes ports. As the 1950s progressed, the Hoyt saw a few changes. First, the mining town of Hoyt Lakes, Minnesota (63 miles north of Duluth) was opened in 1955, also named after the vessel's namesake A large taconite pellet facility was opened in this area, and the town of Hoyt Lakes was built for the workers at the new plant. A rail line was constructed to a new loading facility in Taconite Harbor, Minnesota, on the shore of Lake Superior just southwest of the small town of Schroeder on US-61, and the facility began loading the new taconite pellets in 1957. The Elton Hoyt 2nd would become one of the regular visitors to this new facility. Also, the Elton Hoyt 2nd was lengthened 72 feet in 1957, making her overall length 698 feet 6 inches, and giving her an additional 3,000 tons in capacity. For the next 23 years, the Hoyt's career was fairly routine with little out of the ordinary. By 1980, as was the case with other straight-deck bulk freighters her age, the time spent unloading made the vessel less competitive. While the Hoyt was slightly smaller than other vessels her age even after lengthening, she would still spend upwards of 12 hours unloading. The vessel was converted to a self-unloader at American Ship Building Company in Toledo, which certainly added many years to her career. By 1985, the Johnstown, the Hoyt's sister ship in the Bethlehem fleet which had not been converted to a self-unloader, was sold for scrap. 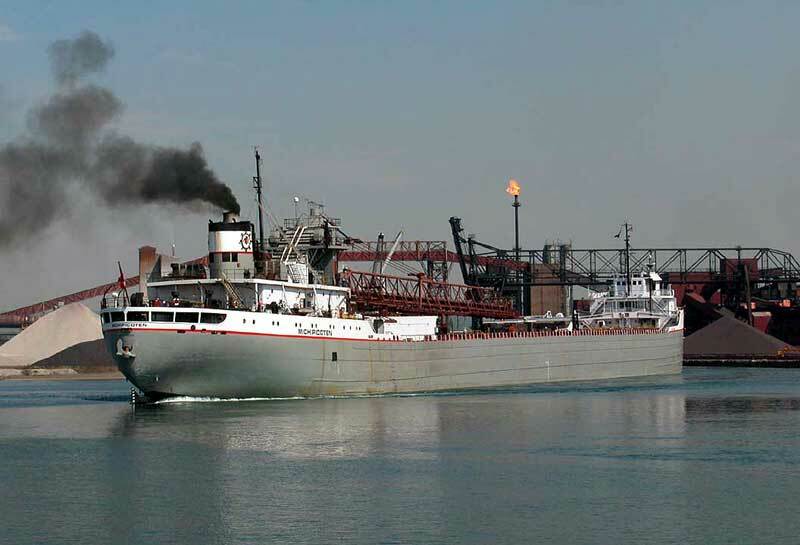 The other member of the trio, the Sparrows Point, was converted in 1980 and continues to sail as the Buckeye for the Oglebay Norton Company. Throughout the 1980s, the Hoyt saw varying degrees of activity. Some years the Hoyt did not run, other years the vessel sailed a partial season. Into the 1990s the vessel was used steadily, but she was usually the last in her fleet to fit out in the spring and the first to lay up for the winter. With the Hoyt's smaller size, she can visit some of the smaller ports inaccessible by some of Interlake's larger vessels. In the late 90's the Hoyt was certified to carry grain and made several trips from the Twin Ports to Buffalo. 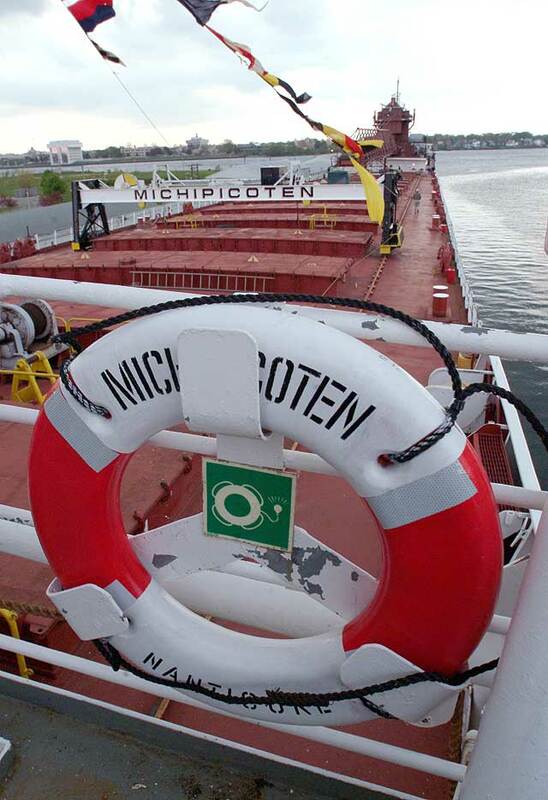 These were in addition to her normal cargoes of taconite. 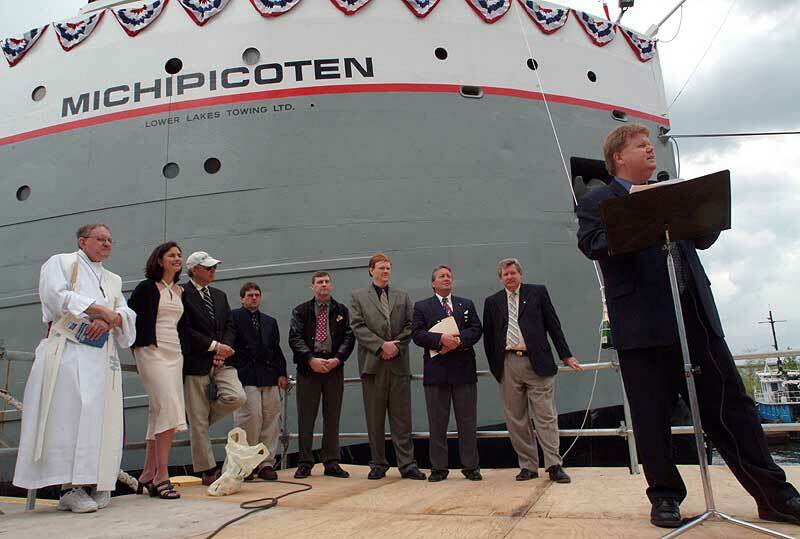 At the end of the 2000-2001 shipping season the Elton Hoyt 2nd entered lay-up at Superior, Wi. This would begin a multi-year lay-up as the demand for steel weakened and left the Hoyt 2nd as excess capacity. 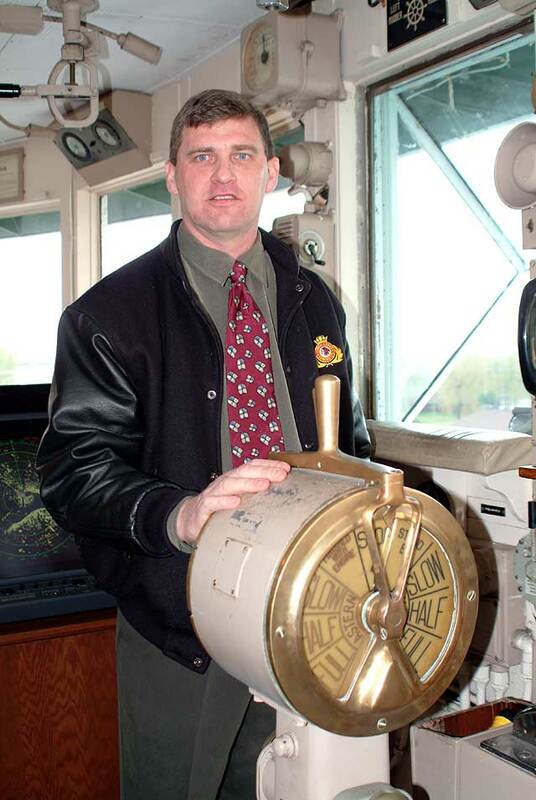 In November, 2001 it was moved by tugs along side fleet mate John Sherwin, also in long term lay-up. On April 10, 2003 it was announced that the Hoyt had been sold to the Canadian shipping company,	Lower Lakes Towing. 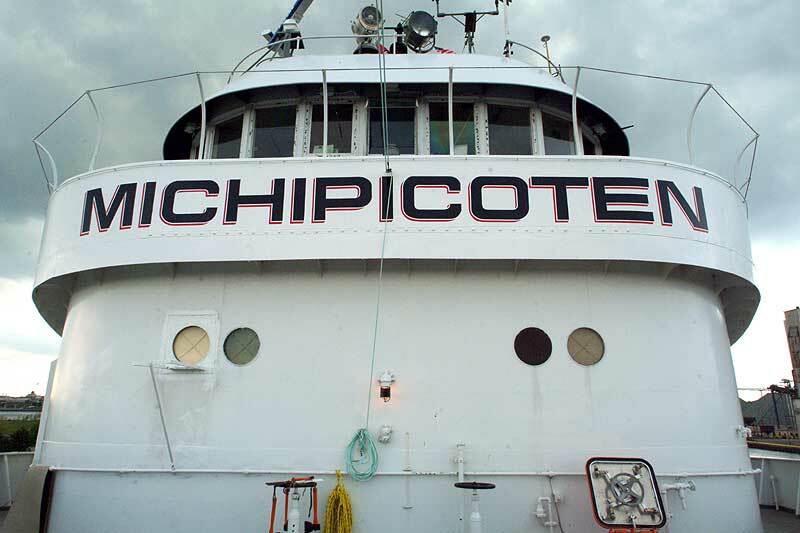 Her registration was changed to Canada and renamed the Michipicoten. The purchase of the Hoyt from Interlake reflected a new contract acquired by Lower Lakes Towing. The company was now supplying taconite to the Algoma Steel mill in Sault Ste. Marie, Ontario. 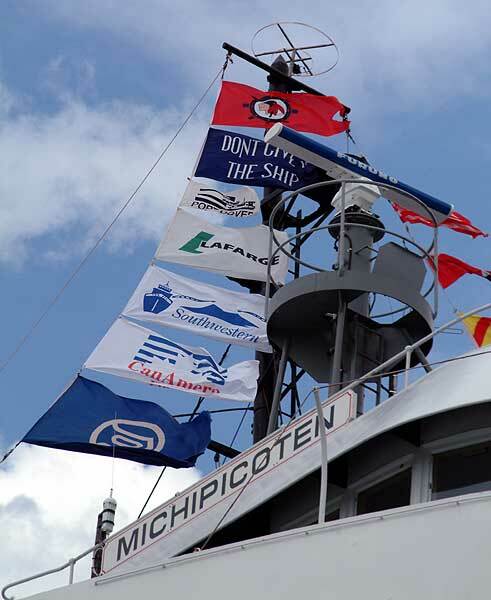 Ships in the Lower Lakes Towing fleet all carry names honoring rivers, on or near where the vessels trade. 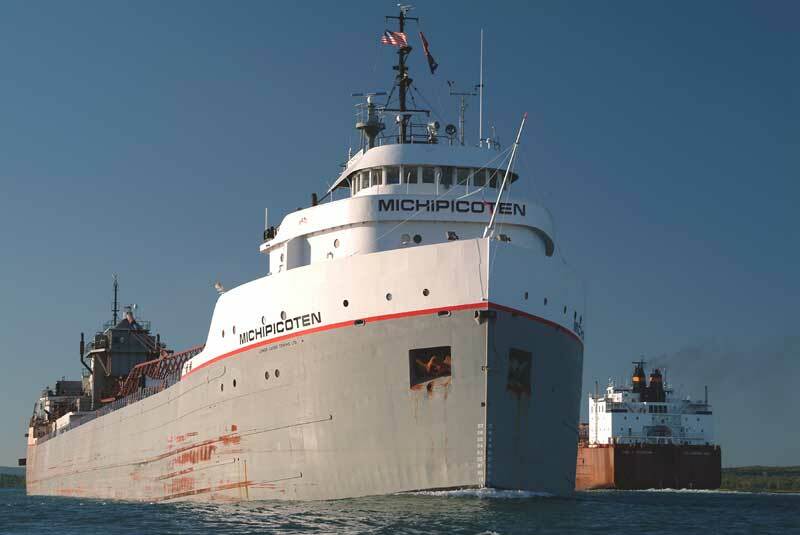 She joined the Cuyahoga, Saginaw, and Mississagi in the Lower Lakes Towing fleet. 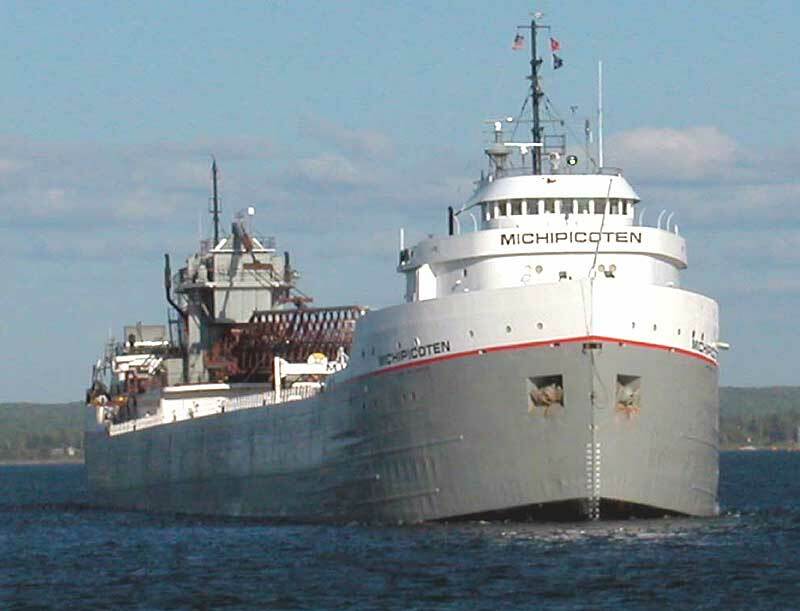 The Michipicoten entered the dry dock at Fraser Shipyards in Superior shortly after the sale. Dry docking lasted about three weeks. The 700-foot self unloader was towed from Superior, Wi. to Sarnia by Gaelic towing tug Roger Stahl, arriving on May 7. Crews began work on the vessel fitting it out for service. 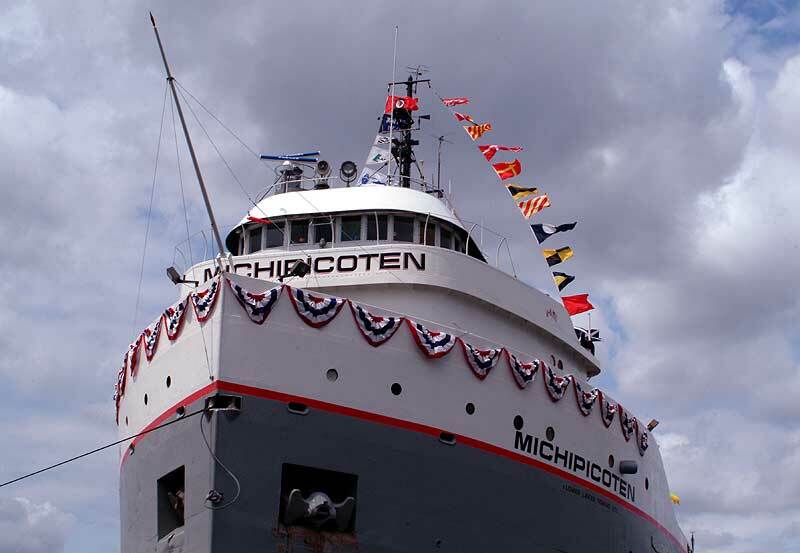 On Saturday, May 24, 2003 the Michipicoten was christened during a public ceremony in Sarnia. With a large crowd on hand to witness the event, Devon and Pam Bravener christened the ship with the crack of the traditional bottle of champagne. 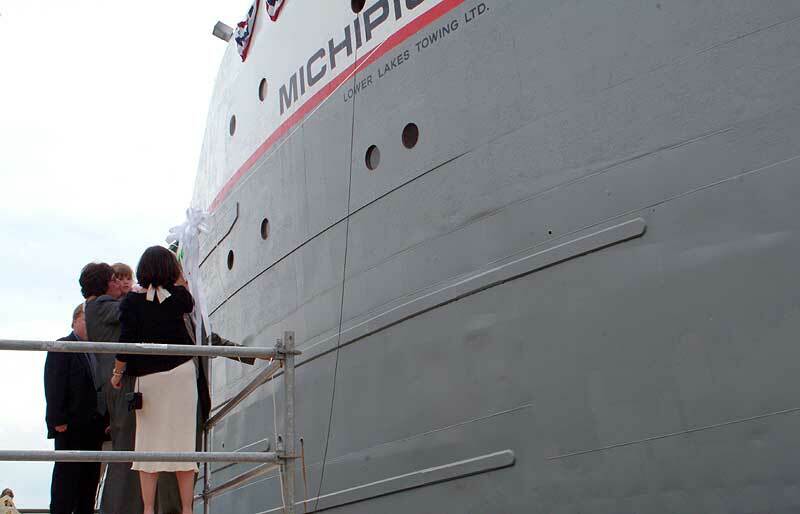 The champagne bottle shattered against the hull with one swing and the company then generously opened the Michipicoten for tours to all those who had gathered to witness the event. 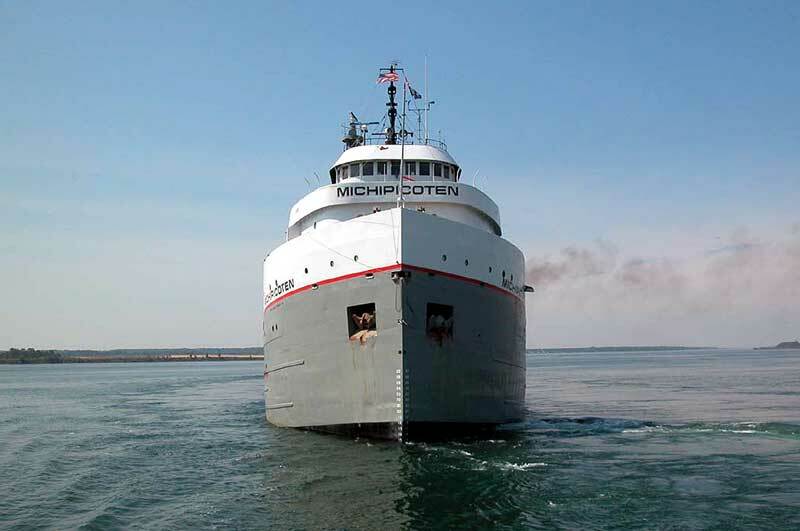 The Michipicoten is the fourth vessel to join the Lower Lakes Towing fleet and the seventh combined with the U.S. affiliate Grand River Navigation Co. An impressive number for a company that is only eight year’s old. 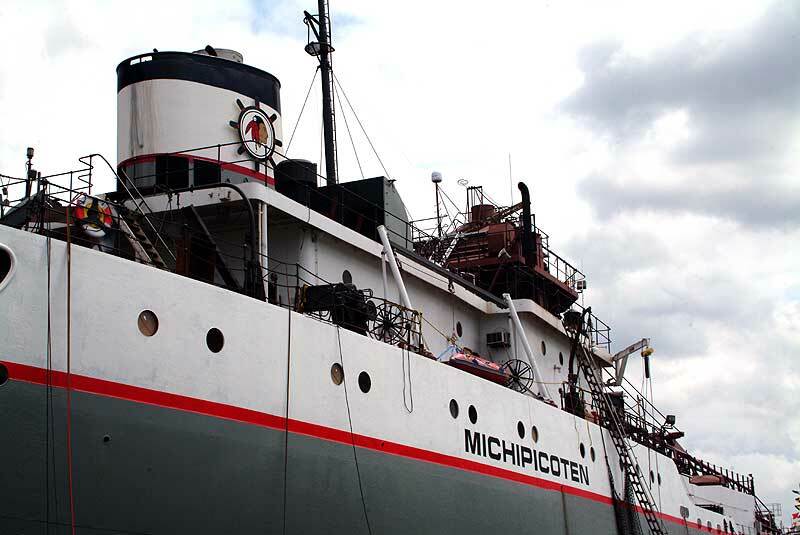 The Michipicoten laid up at the north slip in Sarnia, Ont. for the last time as a steam powered vessel in December 2010. Over the next several months, her steam plant was removed and replaced by a new MaK 6M32C 6-cylinder 8,160 BHP diesel engine. Combined with a newly installed controllable pitch propeller, this powerplant is capable of pushing her at upwards of 14 mph and has resulted in significantly reduced fuel consumption and substantially reduced emissions levels. 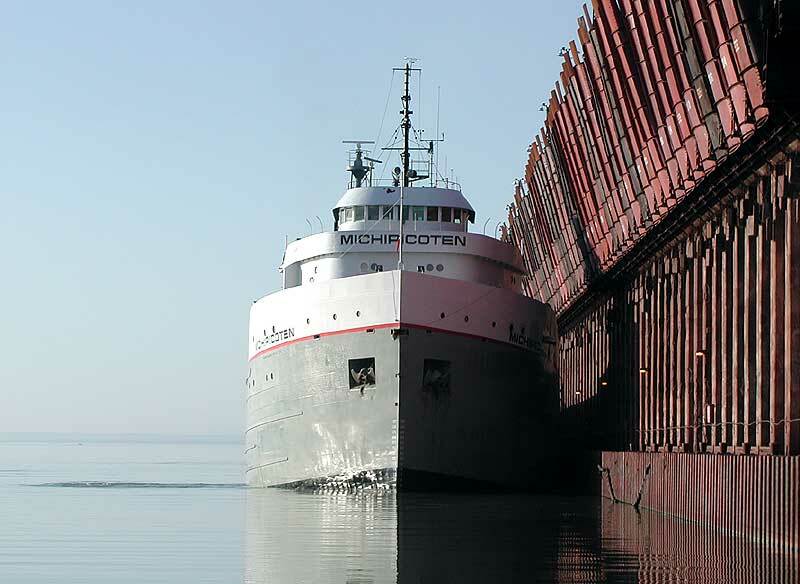 Returning to service in late May 2011, this $15 million upgrade ensures the Michipicoten will be an efficient, productive asset as part of the Lower Lakes fleet for many years to come. View forward from unloading boom. Tow arrives in lower Lake Huron May 7. Flags flying on Christening day. Company officials address the crowd. Preparing to swing the bottle.